My husband and I just spent the weekend in NYC. It was our anniversary, and we decided it would be fun to spend a few nights enjoying the city. A show, a few nice dinners and a trip to Eataly (for me). 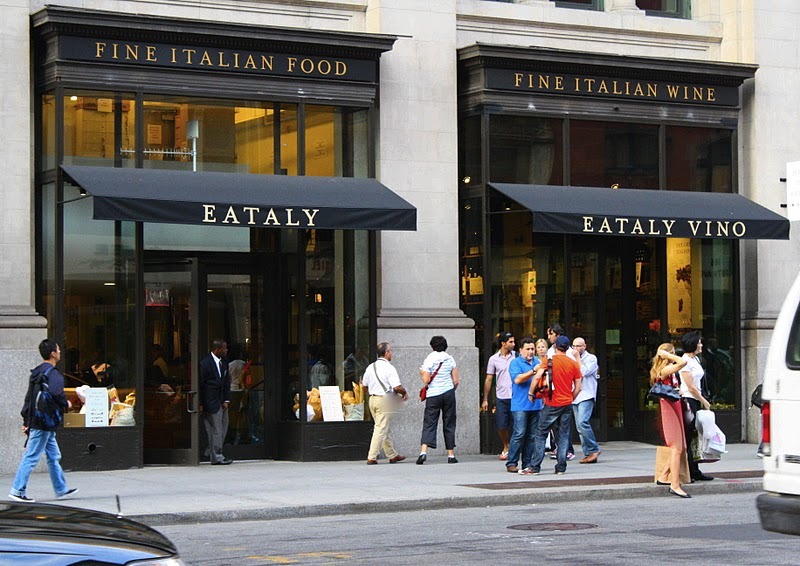 For those of you who don't know of Eataly, it is located downtown at 23rd and 5th ave., just across the street from Madison Sq. Park and next to the Flat-iron building. Eataly is housed in a 50,000 sq. foot building, and is a very unique Italian market place. More accurately, it is an amazing food emporium! It is the creation of Mario Batali, Lidia Bastianich and Joseph Bastianich. It has six sit down restaurants, including a beer garden on the rooftop. I never got to try any of them. We planned on doing Eataly our second day but, our plans changed. On our first day, after lunch at the Stage Deli, we decided to go downtown. Not the smartest thing I've ever done. All this wonderful Italian food and I wasn't hungry. 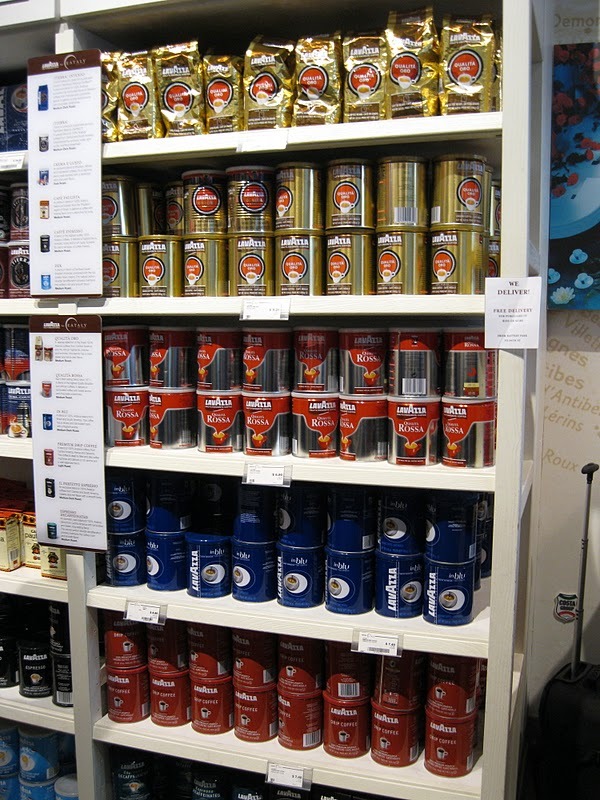 I did stroll through the store and buy some wonderful Italian goodies to take home. My favorite being a jar of Chestnut Jam. Things were pricy, or you could say upscale! But it is NYC. Definitely an experience! There were isles of pasta, wine, artisanal cheeses, beautifully baked breads, cured meats and fresh fish. 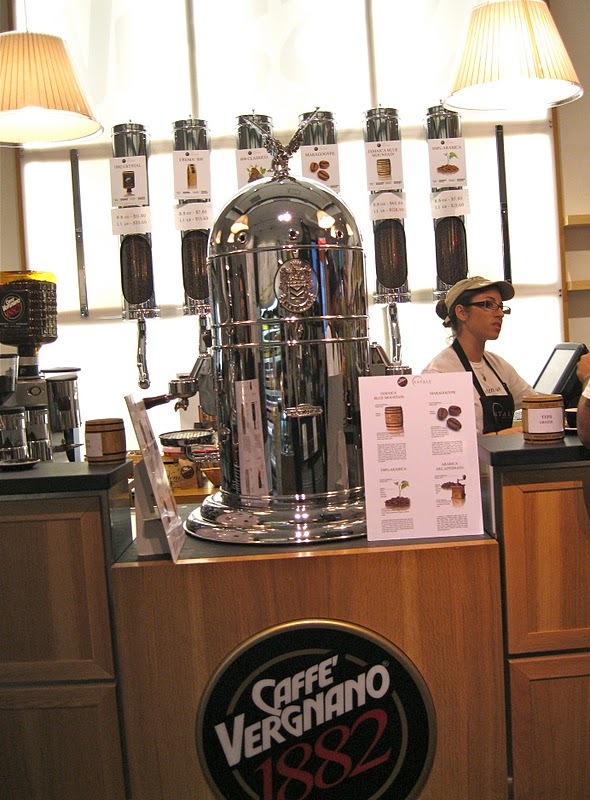 An espresso bar, with a gorgeous espresso machine. A gelateria (gelato stand) which I would have loved to sample but, my husband is on South Beach, so I didn't want to tempt him. I understand it could get quite crowded. However, we visited on a thursday, late afternoon and it was really easy to explore. Not at all crowded and I didn't have to wait long on any line. I could have spent hours perusing the many isles but, this was not my hubby's favorite thing to do. So, because it was "our" anniversary, we left after about an hour with a taste that still has not been satisfied! I'm already making plans to do a day in the city with a girlfriend, so we can explore this unique market at a slower pace. My husband waiting "patiently" for me! Looks like an interesting spot, we missed this on our trip to New York, oh well need to go back and check it out next time! I love that wall of jams,jellies, honey etc. And also the pasta! Looks like a fun place to visit. You are a fan of chestnuts? Wow, Kathy, how neat. We completely missed this on our trip to NYC - although, I'm not sure we could have fit one more thing in! I will definitely make a note of it for next time. Happy Anniversary, Kathy! Our anniversary is the day before yours (15th) and, of course, you are a few years ahead. I wish you and your husband many more happy anniversaries. Your weekend in NYC sounds like a great way to celebrate. 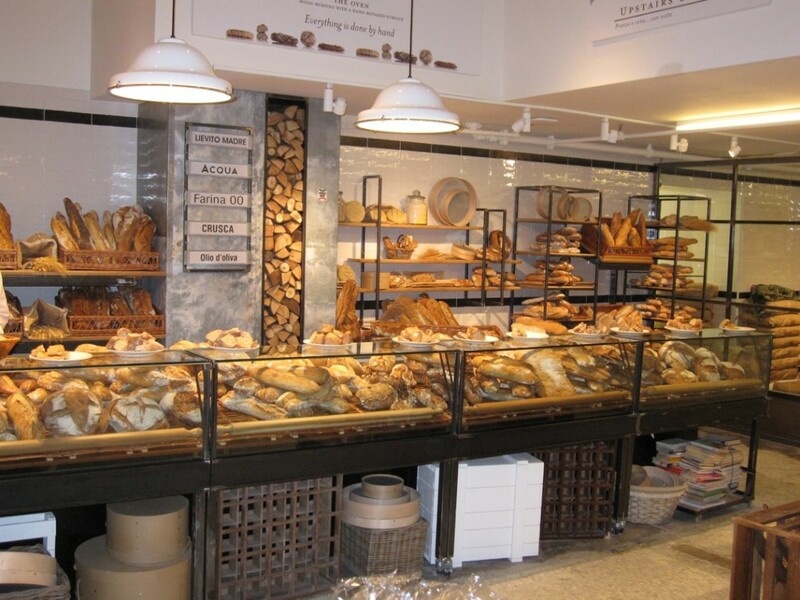 Your photos of Eataly are making me consider a visit to New York. If I ever make it to NYC, this will be a visit on the list. Thanks for the wonderful pictures and walkthrough! 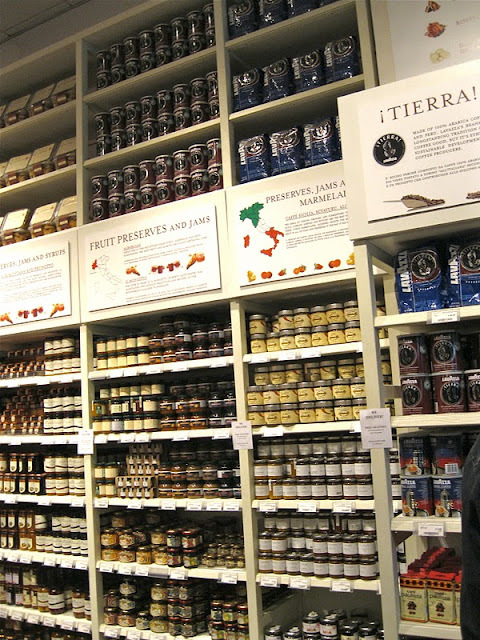 I have been wanting to got to Eataly ever since I saw it on Martha's show. I'm glad you were able to find some goodies to bring home. I know it's not easy to shop at leisure when you have a husband waiting for you. :) I hope you had a wonderful anniversary weekend! I burst out loud when I saw the photo of your patiently waiting husband!! I love it. That would be mine too. Why can't men soak up all of the levels of details we women can? Congratulations on your anniversary. That was a fantastic way to spend the day. Oh Kathy! I love the photos and would love to go there. Happy Anniversary! Your 'patient' husband reminds me of mine! I've never heard of this before and I've been to NYC quite a few times.. My son travels there often and stays close to where you're talking about I believe. I wonder if they have a website. 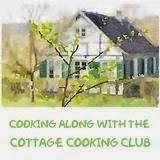 I'll have to check it out. What fun! I'll bet you felt like you were in Italy. Now to check it out. 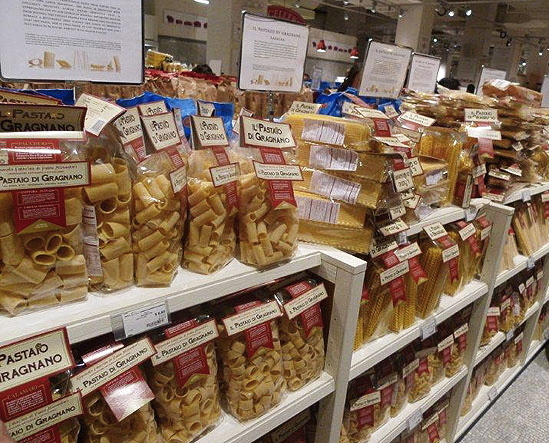 I hoped to get to Eataly when I was in New York over the summer and just ran out of time. Thanks for the tour!